MiniComic 20e : What’s a BarCamp? 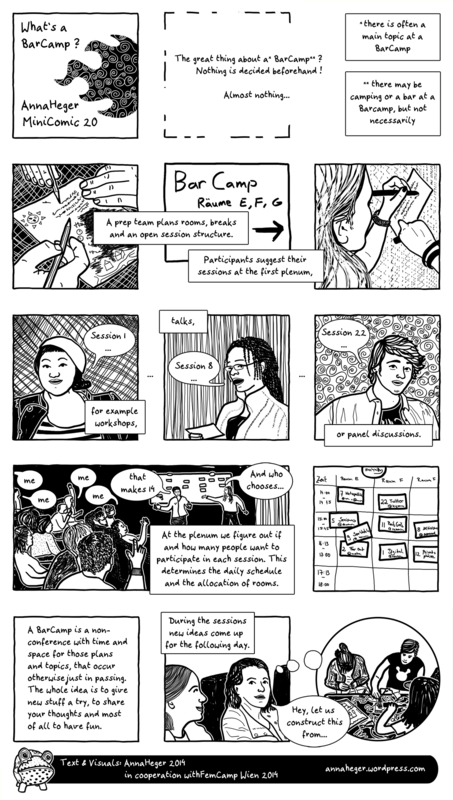 This is the English translation of the minicomic, Was ist ein BarCamp?, explaining a barcamp. It was created and translated in cooperation the queerfeminist FemCamp 2014. This is a BarCamp taking place in Vienna in two weeks. The minicomic is all about explainig what a barcamp ist like.